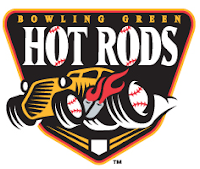 The Bowling Green Hot Rods finished the week with a 4-3 record and are currently in 6th place in the division with a 28-36 record. The Hots Rods finish the week with the Midwest League All-Star game in Fort Wayne. The Hot Rods will be represented by Alexander Colome, Chris Murrill and Wilking Rodriguez. Disabled List: Dustin Biell, Wood Fines, Tyree Hayes, Will Kline and Eli Sonoqui. The Week Ahead: 6/16/10-6/17/10: at Lansing Lugnuts (35-29). 6/18/10-6/20/10: vs West Michigan White Caps (23-41). 6/21/10: Day Off. 6/22/10: Midwest League All-Star Game in Fort Wayne.